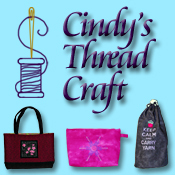 I like to participate in some of the quilt blogging events and decided to join the Blogger’s Quilt Festival presented by AmysCreativeSide.com. After you are done reading my post, please hop over to the festival page and check out some of the other quilting blogs for more inspiration. This post is about the comfort quilt I finished recently. When I turned in the first comfort quilt I made for the Genesee Valley Quilt Club (GVQC) I picked up another kit as well. The May meeting is the last time, until September, that they allow you to turn in the comfort quilts. The June meeting is a picnic so it’s not a great place to drop off quilts and is also the last meeting until the fall. The quilt top, which is square in shape, was easily pieced together with its large squares and borders, but then I procrastinated on picking a backing fabric for it. The quilt top is very cheery with cupcakes on some of the squares so I didn’t want to use just any fabric for the backing. I wanted to make this quilt a little more special for whoever might receive it. Just because I don’t know who is going to be the recipient doesn’t mean I shouldn’t put my best effort into it. 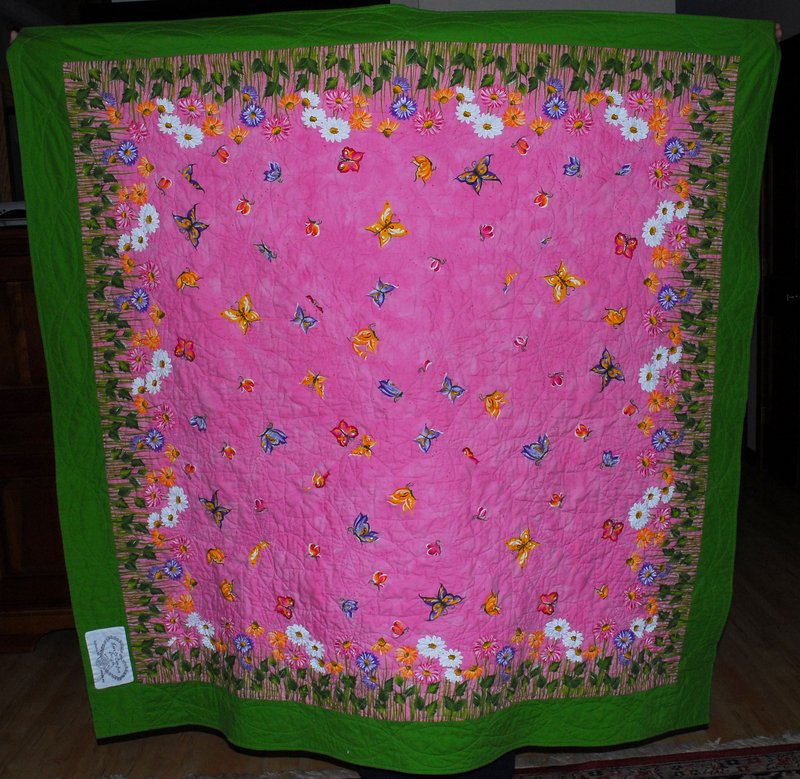 The quilt top had lots of pinks and is most likely meant for a young girl. I decided to get fancy with the backing and went on a search for the perfect print. A trip to Betty’s Quilting Etc. in Spencerport brought me to the perfect solution. I found a great border print with flowers growing out of the selvage and butterflies dancing around the main background of pink in the clearance section! I decided to piece together large triangles of the print to make a big square. I wanted to make sure that all of the print stayed with the quilt after trimming so I and added a matching green border to the backing. To save time I also used the green border from the backing for a self binding. The same green was also in some of the squares on the quilt top so it worked out perfectly. For a comfort quilt is sure is nice to machine sew the entire binding. Each square was free-motion quilted using the fabu-motion attachment for my sewing machine. I drew the same design on each square with disappearing ink. A combination of two patterns from a book I have. The back looked just as great as the front with this quilting. A bit of simple quilting in the borders and it was done! The only hand sewing I did was to attach the GVQC label. 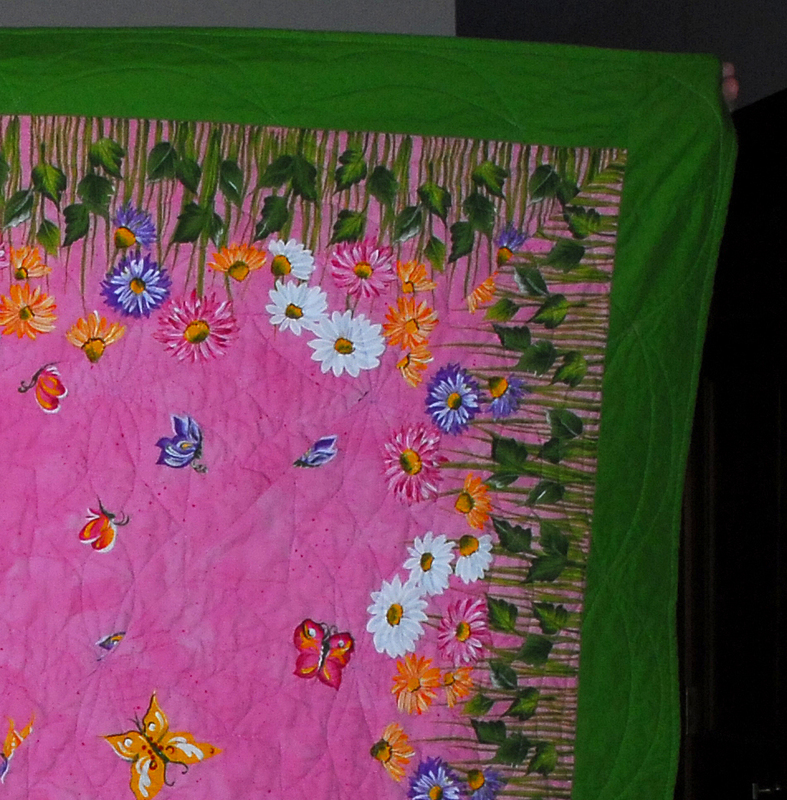 When my Mother turned the quilt in for me she said it got rave reviews from the comfort quilt committee. I also had her pick up another quilt kit and will turn it in at the first meeting for the next year in September. 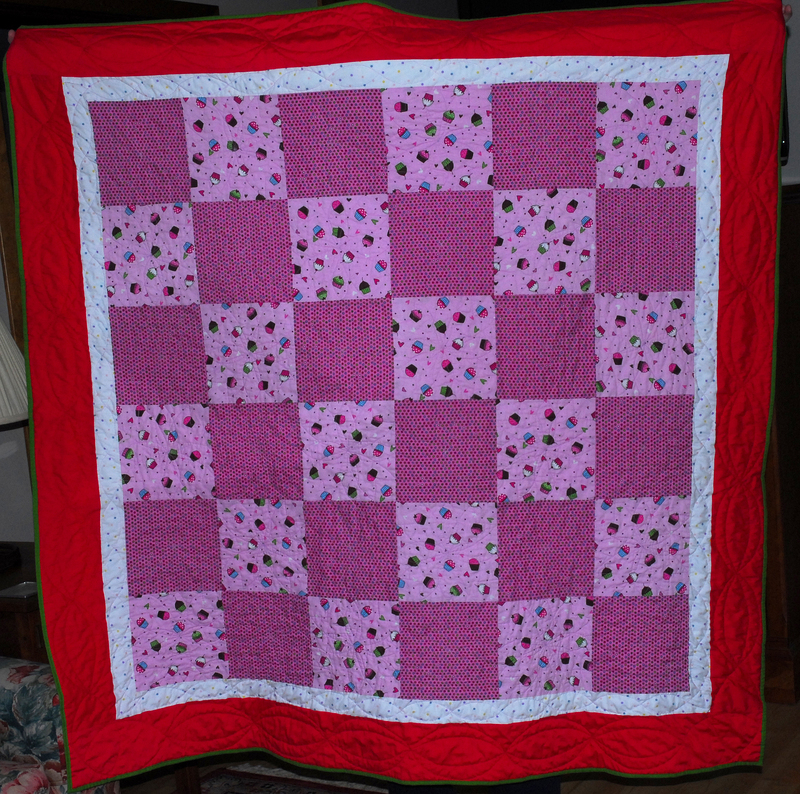 The comfort quilts are a great way to practice my quilting and do something nice for someone at the same time. I find it very rewarding. I just wish I could meet the recipient some day. I hope you do meet the recipient one day! 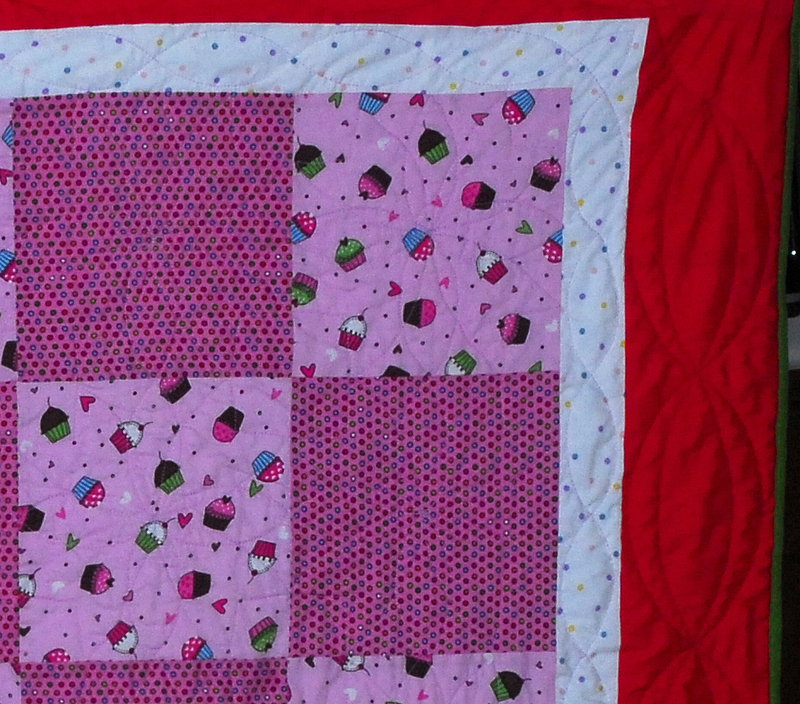 cute cupcake quilt – thanks! Adorable quilt, love the cupcakes! LOVE LOVE that quilt back! I have an obsession with quilt backs. Sew On! on May 31, 2010 at 1:20 am | Reply Laurel H.
Now, I like the front, but I LOVE the back! That sure is a lovely comfort quilt. the backing is dynamite.